12 Şubat 2019 Salı 21:02 - 8 reads. "Free police dog on a walk found the drugs,"
"Polishunden was free and out on the morning walk in the centre of Kristianstad, but suddenly got the benefit of their specialized knowledge. In the bush that the dog selected to defecate in someone had hidden the drugs." "Then the dog checked, found master, who is a police officer, controlled drugs in the bush." 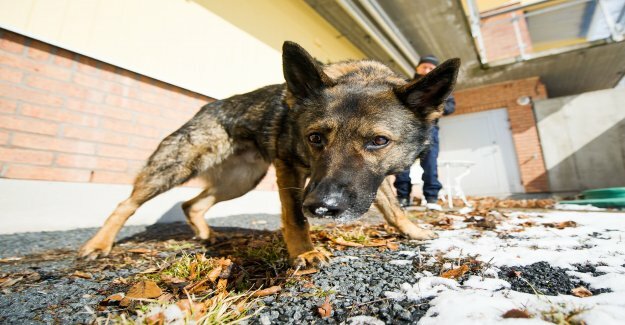 "– the Dog was not just an ordinary police, but also trained narkotikahund, " says Åsa Emanuelsson, press officer at the police in the southern region, for the Local newspaper." "After the find on Sunday, the police have set up a notification on the violation of the law on control of narcotic drugs."